The Chena Flats Greenbelt is more than 550 acres of open space along the base of Chena Ridge in Fairbanks, Alaska. This area is used by snow-machiners, dog mushers, skiers and walkers. These lowlands encompass some of the best and largest remaining open water and sedge meadow wetlands in the immediate Fairbanks area, and are frequented by moose, swans, cranes, owls, lynx, fox and an occasional coyote. 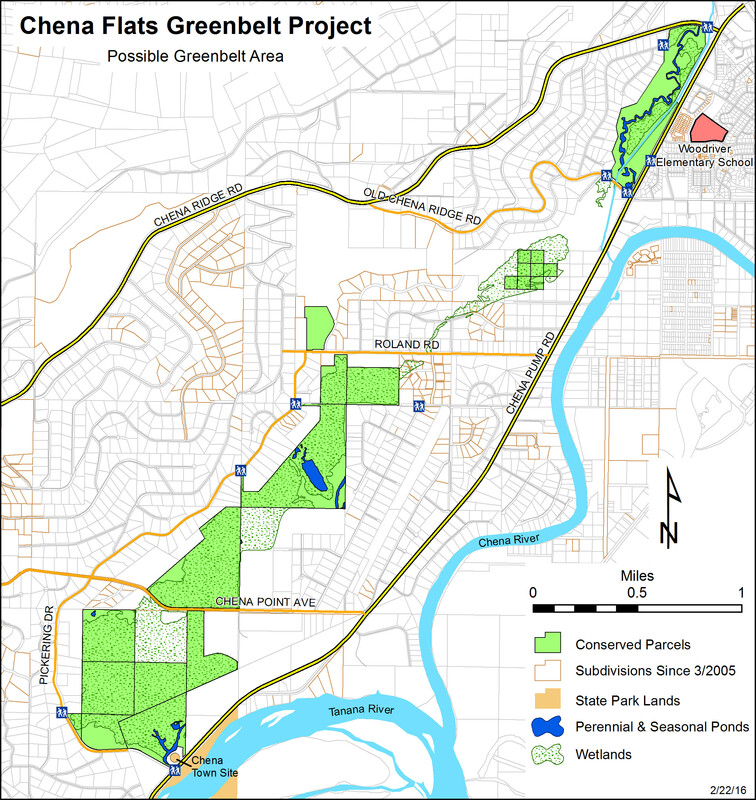 In addition, the southern area of the greenbelt includes a portion of the original town site of Chena, which could be managed as a historic site and/or a small campground. As our community grows, this area of open space and habitat has become increasingly valuable. Formed in May of 2005, the Chena Flats Greenbelt Project began as a group of concerned area residents that joined forces with the Interior Alaska Land Trust to seek contributions for the acquisition of land and conservation easements within the proposed Project area. Our aim is to work collaboratively with property owners to conserve a portion of this area for recreation, open space, and habitat for the long-term benefit of the community.